Build to last a lifetime, our Vindale Arrowback Kitchen Chairs feature the unique arrow spindle as well as a comfort formed seat and custom chair base. 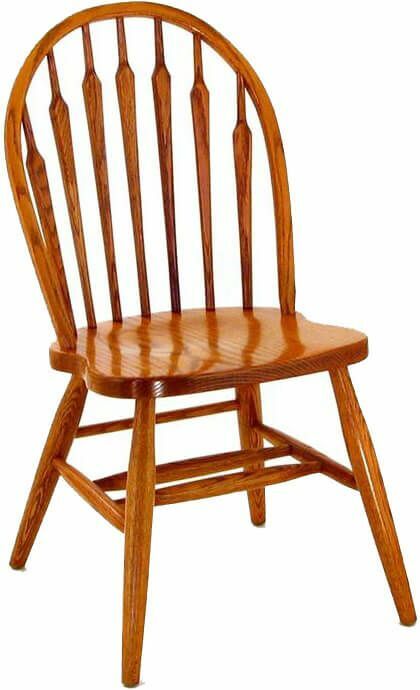 Your handmade Vindale Arrowback Kitchen Chairs are available as a side or arm chair for your kitchen, dining room, or nook. A plain or turned based is available. 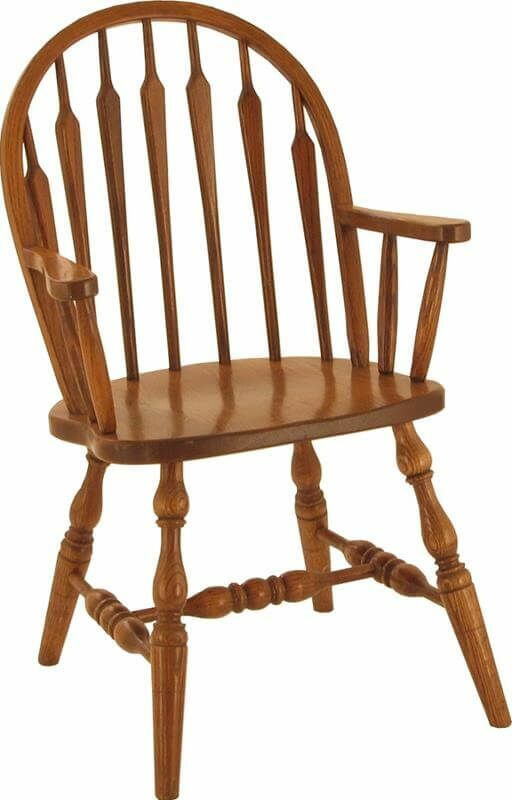 Shown in Oak, this gorgeous bow back chair can be customized to fit your existing decor. Finally, choose your wood finish option and our artisans will handcraft the kitchen or dining chair you design. Perfect for use in restaurants and pubs, your Vindale Arrowback Kitchen Chair are built to last with reinforced attachments and catalyzed conversion varnish. Let us start yours today. Side chair is pictured with plain base; Arm chair is pictured with turned base.